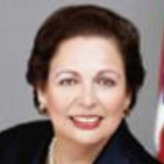 The choice of Mari Del Carmen Aponte as ambassador to El Salvador got the conservative blogosphere all riled up, after word got out about Aponte’s failed nomination during the Clinton administration. Back then, President Bill Clinton put forth her name as ambassador to the Dominican Republic—but had to withdraw it once rumors began to spread about Cuban spies having tried to recruit Aponte. The FBI’s interest in Aponte was dropped, but that didn’t stop conservatives from rehashing the story shortly after her latest ambassadorial appointment. Obama nominated Aponte on December 9, 2009, and she was approved by the Senate Foreign Relations Committee April 27, 2010. However, Senate Republicans put a hold on her nomination. Obama gave Aponte a recess appointment on August 19, 2010, which lasted for 15 months until it ran out in December 2011. The Senate finally confirmed her on June 14, 2012. Born in Puerto Rico, Aponte’s college education consists of a Bachelor of Science in political science from Rosemont College, a Master of Arts in theater from Villanova University, and a law degree from Temple University. After finishing law school, Aponte in 1979 became a White House Fellow, followed by a post as special assistant to Housing and Urban Development Secretary Moon Landrieu during the Carter administration. Aponte spent the next 20 years with Washington D.C.-based law firms. She was an associate at Powell, Goldstein, Frazer & Murphy and a partner at Alexander, Gebhardt, Aponte & Marks. In 1998, President Clinton nominated Aponte to be ambassador to the Dominican Republic, but rumors of her “entanglement” with Cuban intelligence officials forced the White House to pull her name back. For 12 years, from 1982 until 1994, Aponte had dated Cuban-born insurance salesman Roberto Tamayo, who was apparently passing on information about Cuban diplomats to the FBI. Aponte refused to take a polygraph test. After the withdrawal of the ambassadorial nomination, Clinton made Aponte a special assistant in the Office of Presidential Personnel. From 2001-2004, Aponte served as executive director of the Puerto Rican Federal Affairs Administration, representing the governor of Puerto Rico on all matters to state and federal agencies as well as to Congress and the Executive Branch. Most recently, she has run her own consulting business, Aponte Consulting and worked as a strategic consultant to the Hispanic Information and Telecommunications Network (HITN) in New York. Aponte has served as a member of the board of directors of the Oriental Financial Group (1998-2001), the National Council of La Raza and the Puerto Rican Legal Defense and Education Fund (now known as Latino Justice). She has been a member of the board of the University of the District of Columbia and Rosemont College, and a member of the District of Columbia Judicial Nominations Commission. She has served as president of the Hispanic National Bar Association and the Hispanic Bar Association of the District of Columbia.